J Clin Oncol, 2016, 34(28):3451-9.. Quisinostat (JNJ-26481585) 2HCl purchased from Selleck. (c) Acetylation site occupancies of histone H3 at positions K18 and K23 and (d) histone H4 at positions K5, K8, K12 and K16. Each bar graph represents the mean of two technical replicates with error bars showing the relative distance from the mean of the maximum and minimum values. Nat Commun, 2015, 6:8648.. Quisinostat (JNJ-26481585) 2HCl purchased from Selleck. F, Cells were treated with 15 nM JNJ-26481585 for 6 hours. Protein expression of acetylated histone H3 (Ac-H3), H3 and α-Tubulin was assessed by Western blotting. Oncotarget, 2015, 6(35):37836-51.. Quisinostat (JNJ-26481585) 2HCl purchased from Selleck. WT ESCs were treated with varying concentrations of the HDAC1 specific inhibitor JNJ-26481585 for 24 h. Lysates were collected for ChIP experiments, and a H3K27ac antibody was used for immunoprecipitation (IP). qPCR was performed using primers specific for Hoxa1 RARE2. ChIP with an IgG antibody (negative control) is included in each panel. Error bars represent standard error of independent experiments where n = 3 for biological repeats. *, p < 0.05. J Biol Chem 2014 289(28), 19519-30. Quisinostat (JNJ-26481585) 2HCl purchased from Selleck. Western blot analysis of Acetyl-H3 and H3. 0-10μM JNJ-26481585 was added. Dr. Zhang of Tianjin Medical University. Quisinostat (JNJ-26481585) 2HCl purchased from Selleck. Arts J, et al. Clin Cancer Res, 2009, 15(22), 6841-6851. I was thinking of resuspending the powder in 10% hydroxy-propyl-β-cyclodextrin, 25mg/ml mannitol, in sterile water (final pH 8.7). Is this a good vehicle to use? What is the solubility of this chemical in such a vehicle? This vehicle can be used for in vivo studies. 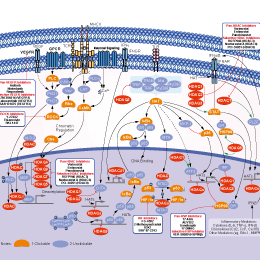 The following papers also used this vehicle: 1. http://www.nature.com/leu/journal/v23/n10/full/leu2009121a.html; 2. http://cancerres.aacrjournals.org/content/69/13/5307.long (The solvent contains 10% hydroxypropyl-β-cyclodextrin, 0.8% HCl (0.1 N), 0.9 % NaOH (0.1 N), 3.4% mannitol and pyrogen-free water). The solubility is 2mg/ml. 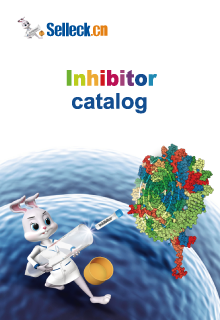 Panobinostat (LBH589) : Novel broad-spectrum HDAC inhibitor with IC50 of 5 nM.